"Just a great apartmemnt. 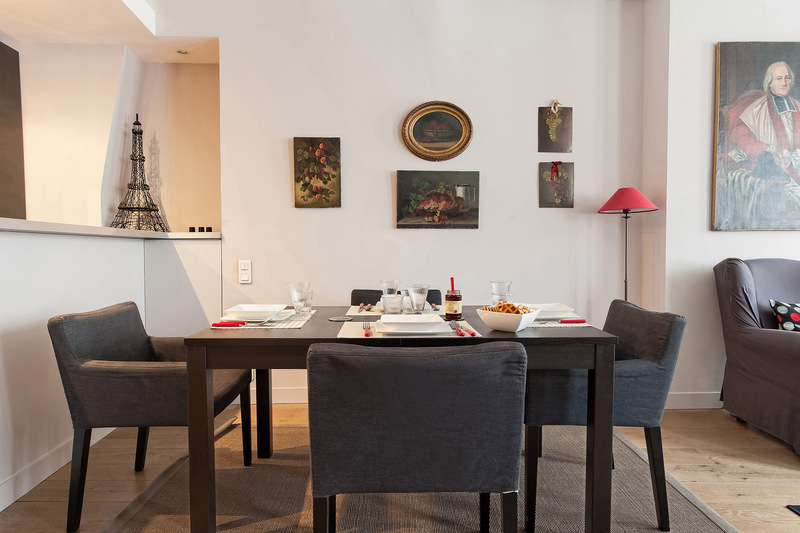 It was very spacious, great kitchen for cooks and a great location in the 6eme which is pretty centrally located to everything, especially art galleries. An rue du Buci is a..."
There are so many thank you's in our hearts we'll have to talk a minute to share them. First, Paris Perfect is, well, parfait. 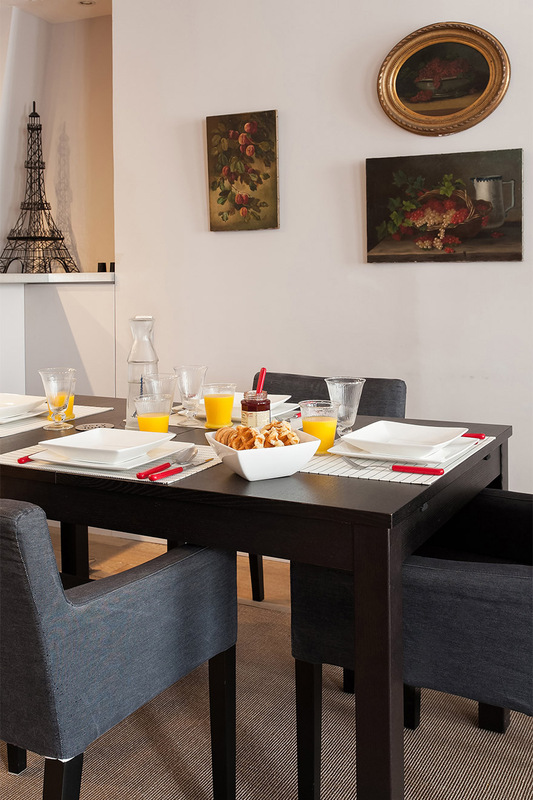 Merci..."
"A beautiful, well-appointed apartment in a lively location. 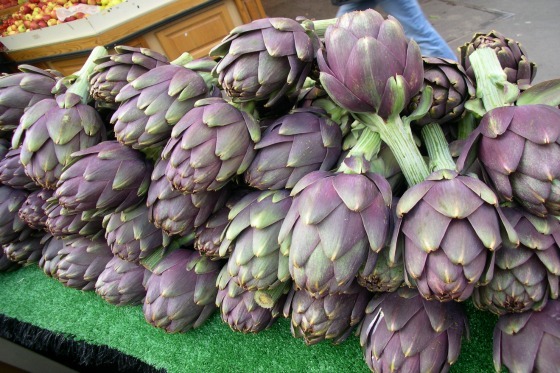 My favorite activity was having coffee or wine sitting at the French windows overlooking the pedestrian street below - great people..."
"We loved the Banyuls apartment! It was cheerful and spacious for the two of us and had everything we needed. The location was fantastic with lively sidewalk cafes and music every evening and all day..."
"The apartment was perfectly located for us. It was a great intro to Paris and we will do it again." 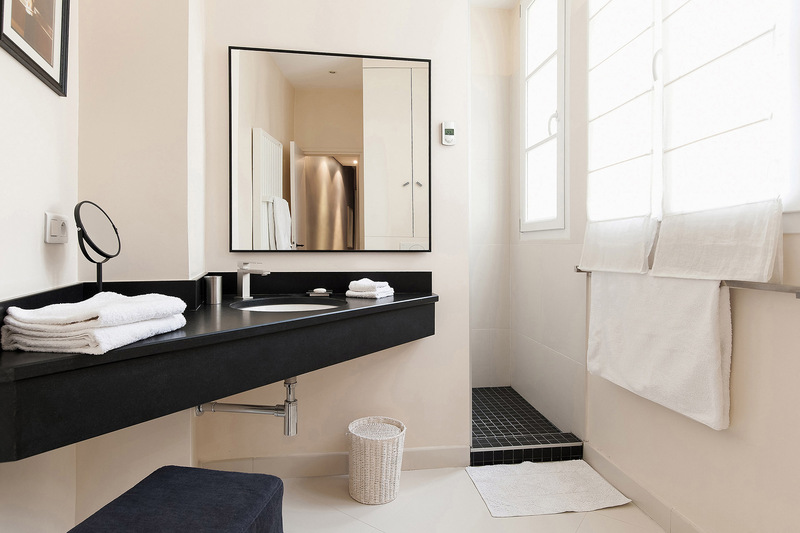 A stay at the beautiful Banyuls is the perfect introduction to one of Paris' most acclaimed areas - the stylish Saint Germain des Pres neighborhood. 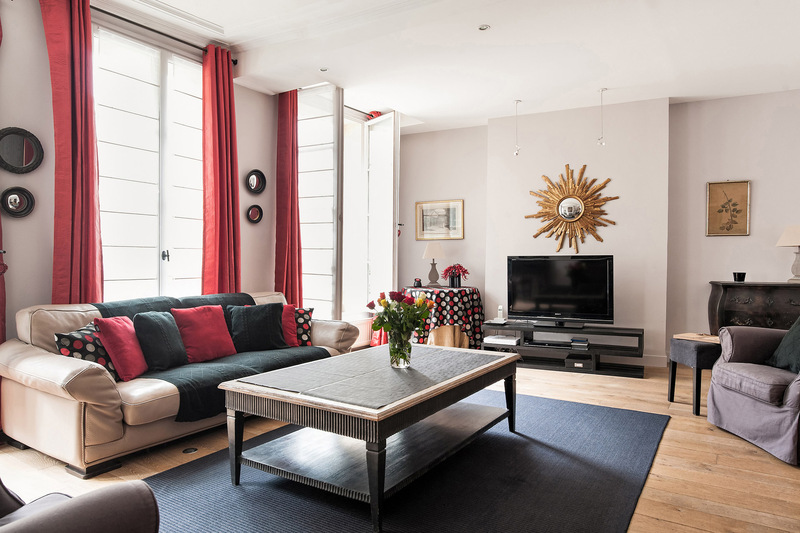 This spacious one bedroom, one bathroom apartment welcomes up to four guests for a comfortable saty in the heart of Paris. 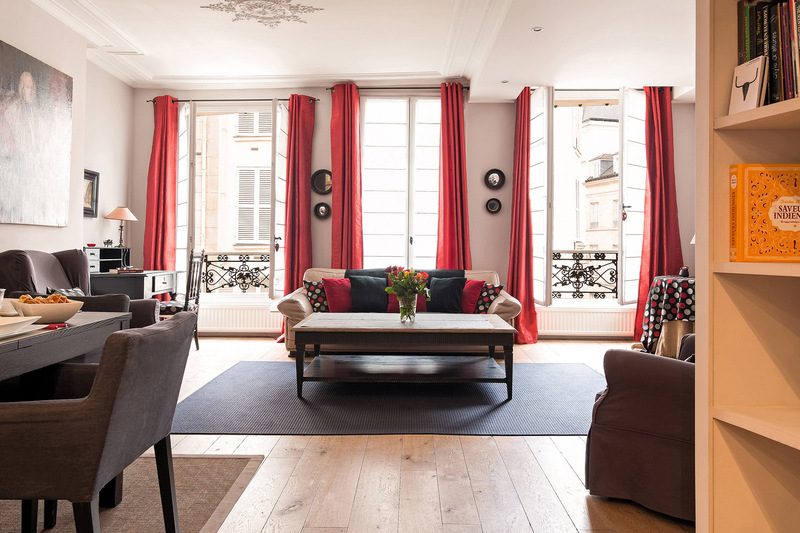 Step into the main living area, which is outfitted with plush furnishings that are ideal for stretching out after a day of exploring Paris. 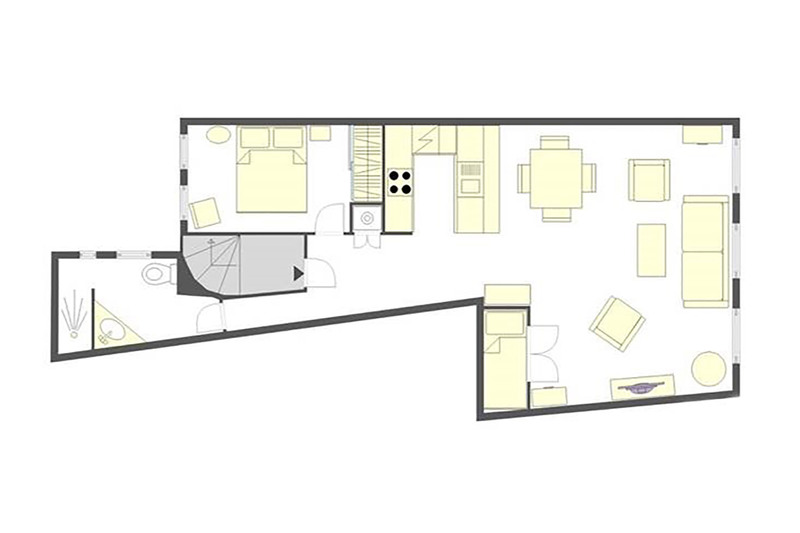 A wall of towering windows provides ample light to fill the beautifully furnished living space. 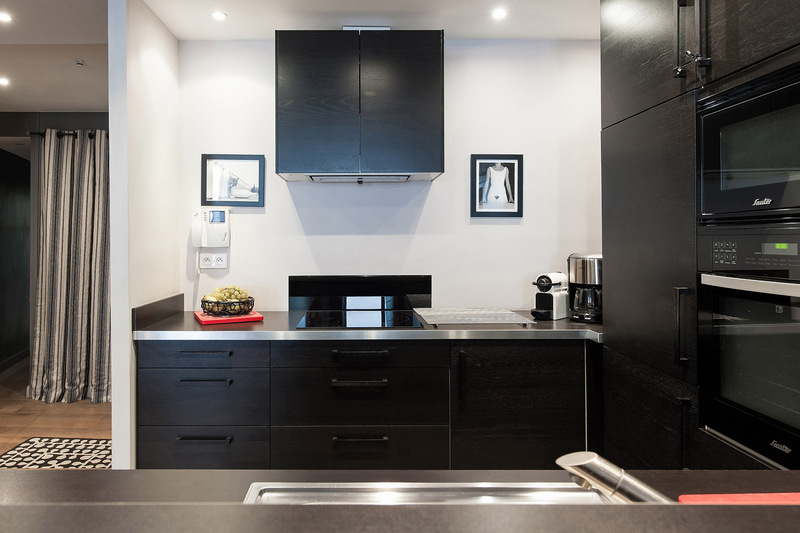 The nearby dining area has gracious accomodations for four, while the adjacent kitchen will delight chefs to the gorgeous details and a full suite of top-of-the-line appliances. 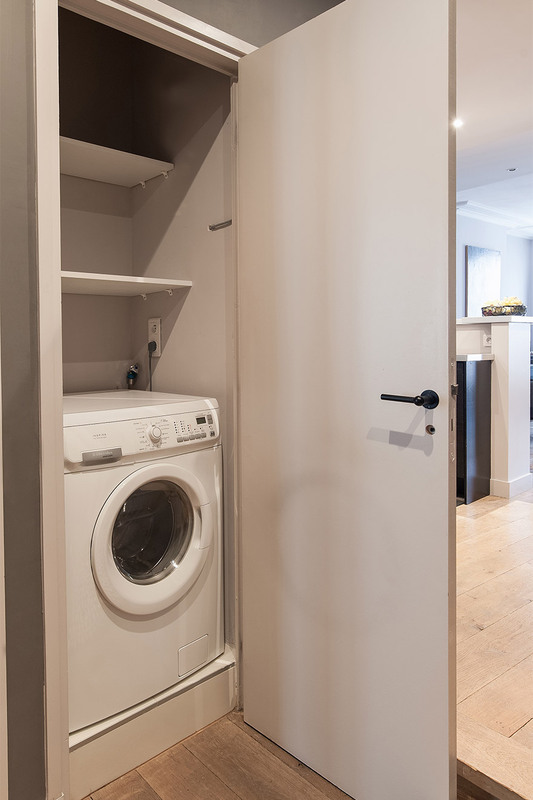 Just down the hallway, guests can drift off to sleep in the inviting extra wide queen bedroom with a stellar built-in wardrobe, classic furnishings and tall windows for bright and cheerful wake-up calls. 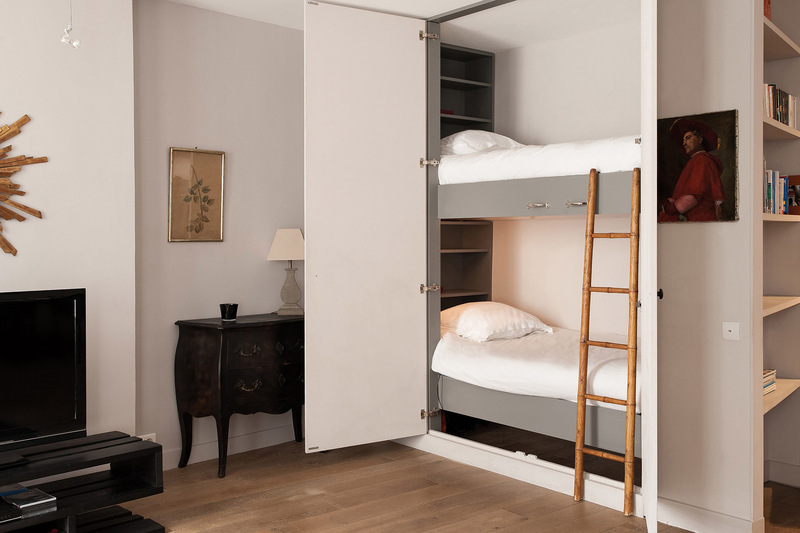 A pair of bunk beds is cleverly tucked into the main living area for additional sleeping accomodations, while the bathroom with step-in shower and sleek vanity makes freshening up a breeze. 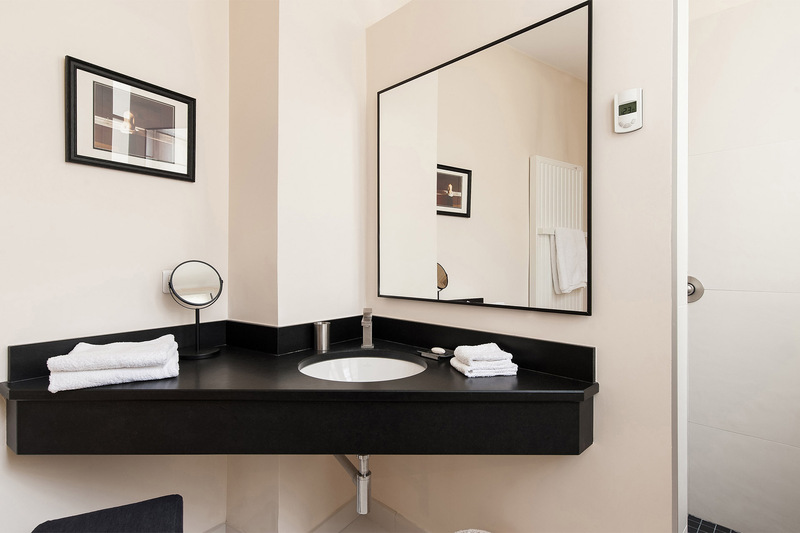 With an ideal location in the heart of Saint Germain, you will be greeted with a collection of famed cafes, top boutiques, art galleries, tempting restaurants and brasseries and historical gems every time you step outside. 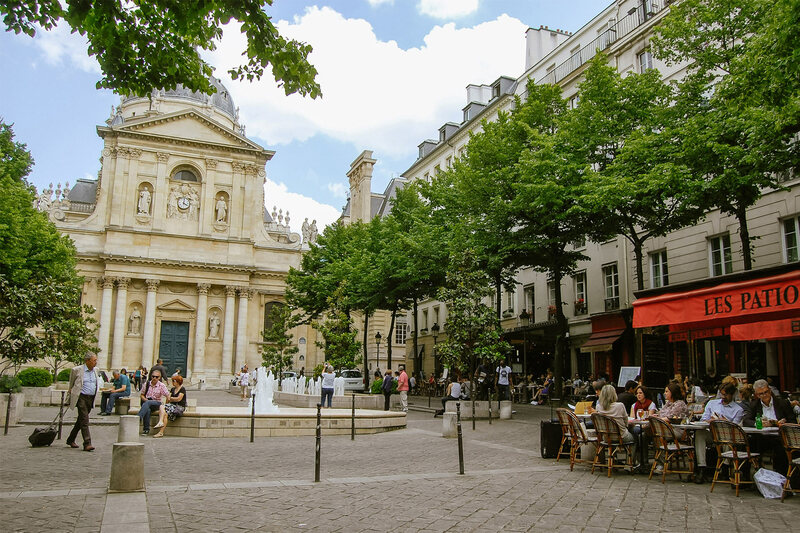 Iconic destinations like the Luxemburg Gardens, the Seine riverfront and the Louvre Musuem are all easily accessible, and the sheer variety of places to eat, sample and explore in the immediate neighborhood will truly take even a Paris aficionados breath away. 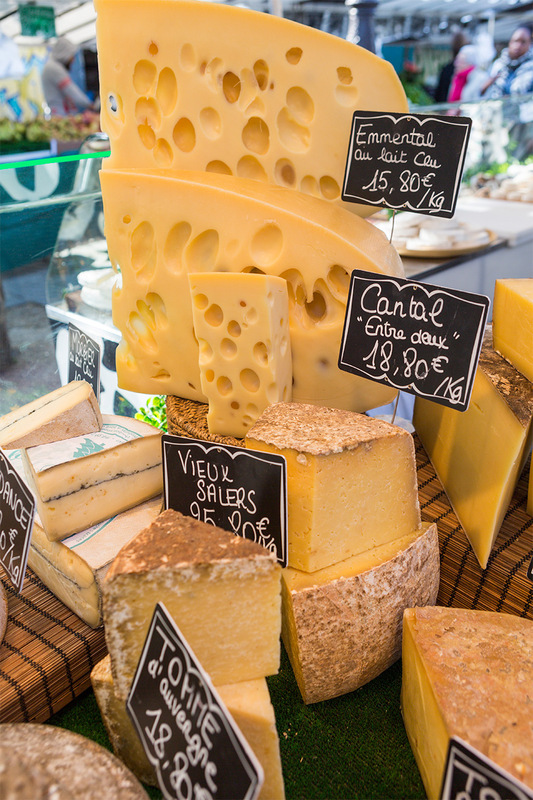 Imagine a morning stroll to Notre Dame Cathedral and Sainte Chapelle, followed by an afternoon of perusing the local rue de Buci market street for delicious ingredients and French specialities to enjoy at home. Every day is a colorful adventure in this brilliant Parisian neighborhood. 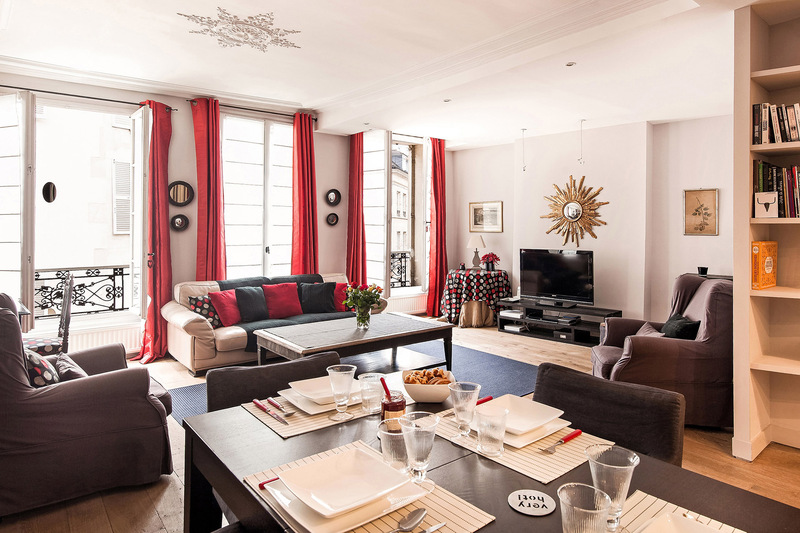 Perfect for any visitor who wants to sample the best of Parisian cuisine, fashion, art and culture, this vacation rental is a Parisian dream come to life! 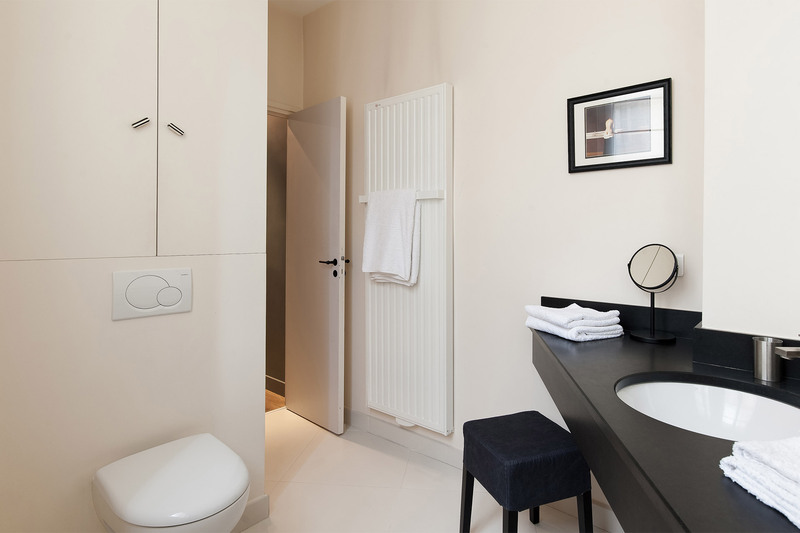 We hope you had a wonderful stay in our Banyuls apartment. Please take a moment and click here to share a review of your experience with us. 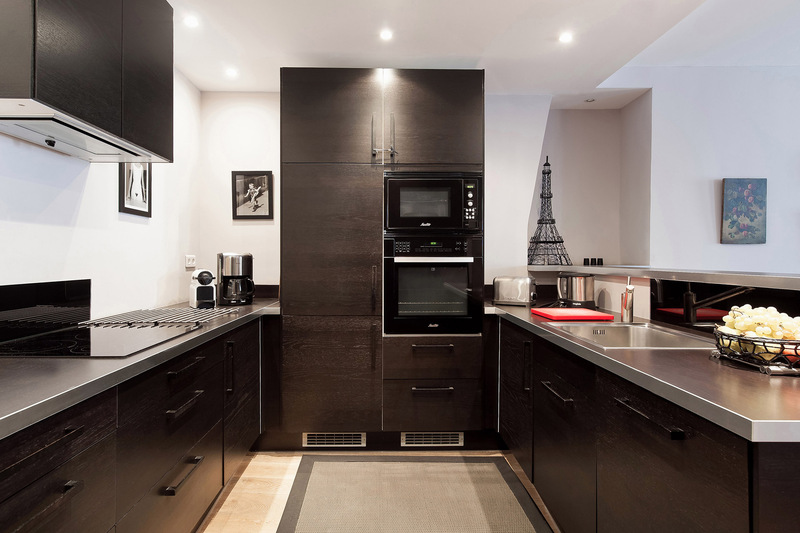 "Just a great apartmemnt. 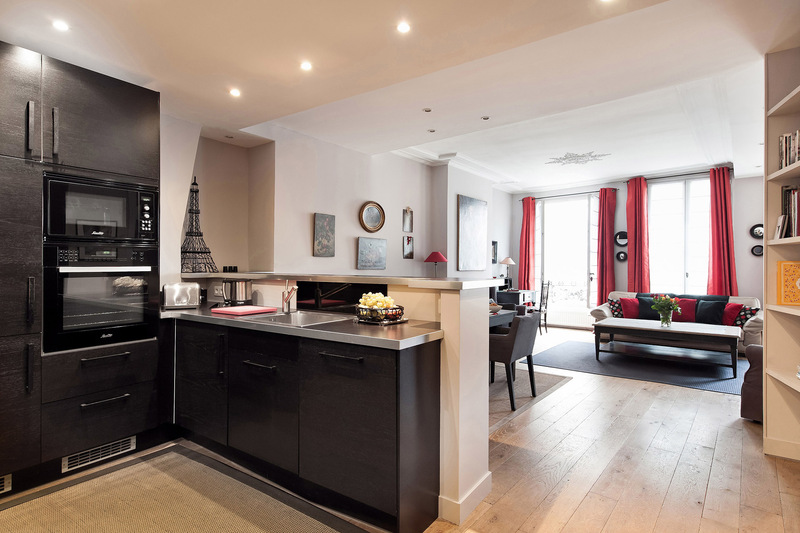 It was very spacious, great kitchen for cooks and a great location in the 6eme which is pretty centrally located to everything, especially art galleries. 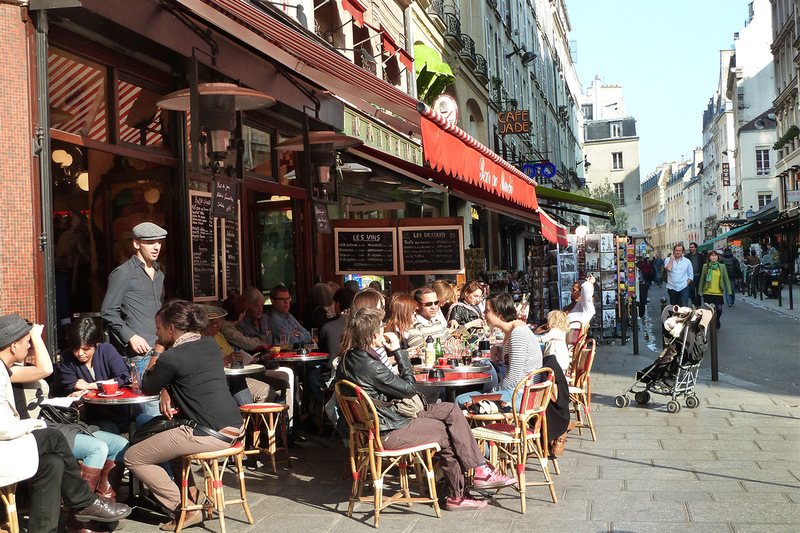 An rue du Buci is a rocking street with lots of cafes, shops, patisseries, kind of a party street. But what was nice..."
First, Paris Perfect is, well, parfait. Merci beaucoup. This is our third apartment and probably the best. 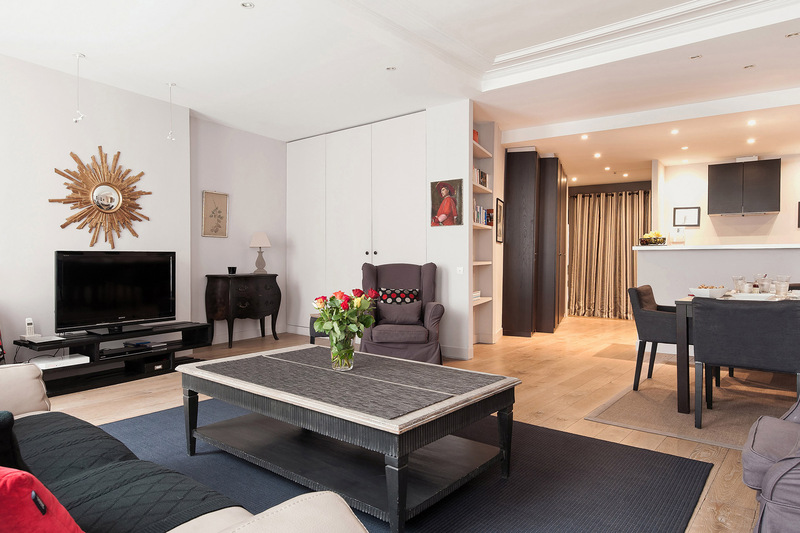 "A beautiful, well-appointed apartment in a lively location. My favorite activity was having coffee or wine sitting at the French windows overlooking the pedestrian street below - great people watching! 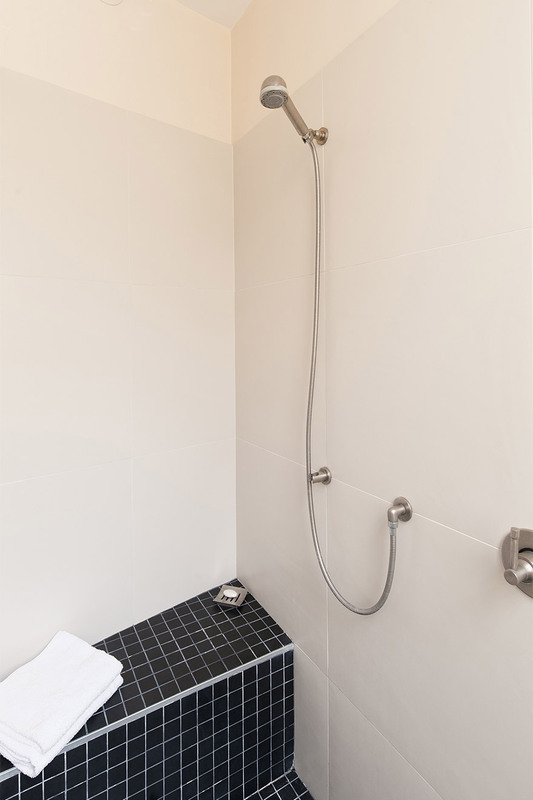 I loved how the bedroom and bathroom were in the back, on a lovely, quiet courtyard, also with..."
"We loved the Banyuls apartment! It was cheerful and spacious for the two of us and had everything we needed. The location was fantastic with lively sidewalk cafes and music every evening and all day on Sunday. 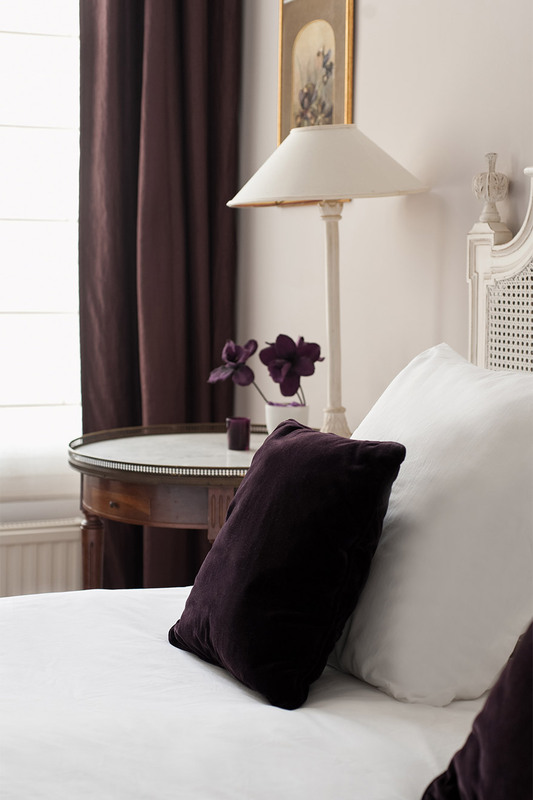 The Paris Perfect staff was incredibly helpful from the website to booking, a wealth of..."
"I am without words as to the experience we had with Paris Perfect. The customer service leading up to our trip was impeccable. They helped us book a cooking class, made recommendations, and secured museum passes for us. We were greeted with a welcome basket and some basics in the fridge. And the..."
"What a fabulous time we had in Paris! Not only was the apartment everything we had hoped for, but it also exceeded our expectations by providing an incredible stepping off point for our excursions (great location). 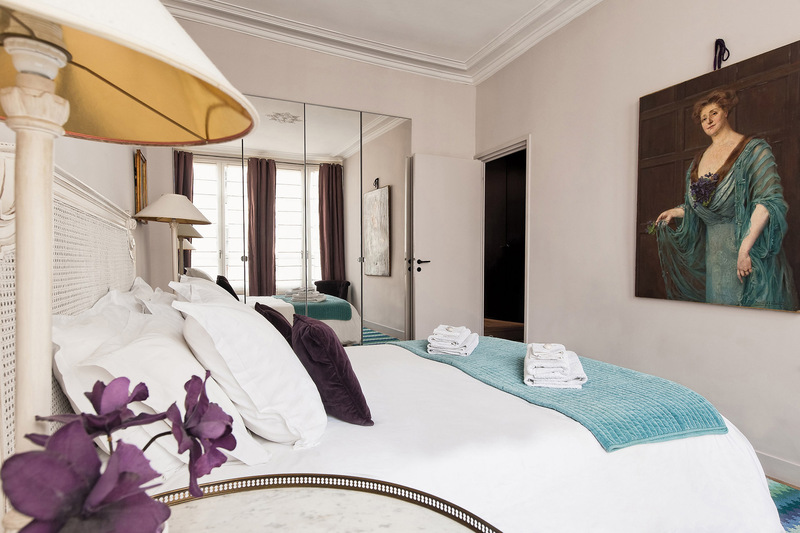 Each evening as we returned to our Paris home away from home, we would open the..."
"The Banyuls was perfect for our recent stay in the 6th arrondissement. Located on a street where hundreds of people gather at the many cafes & restaurants, we were concerned about the noise at night. 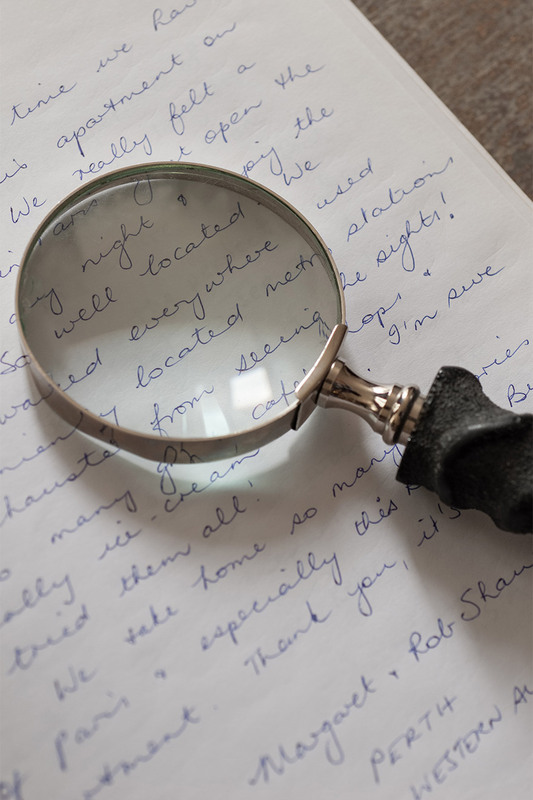 But as promised, with the bedroom in the back of the apartment, facing a courtyard, the street..."
"Excellent reception and information from Patricia, and when a bedside lamp needed a bulb she was here promptly to replace it, greatly appreciated! It was so helpful to have basic supplies provided - coffee started, milk, OJ, kleenex ect... Merci! Thank goodness for the 2 floor pans! 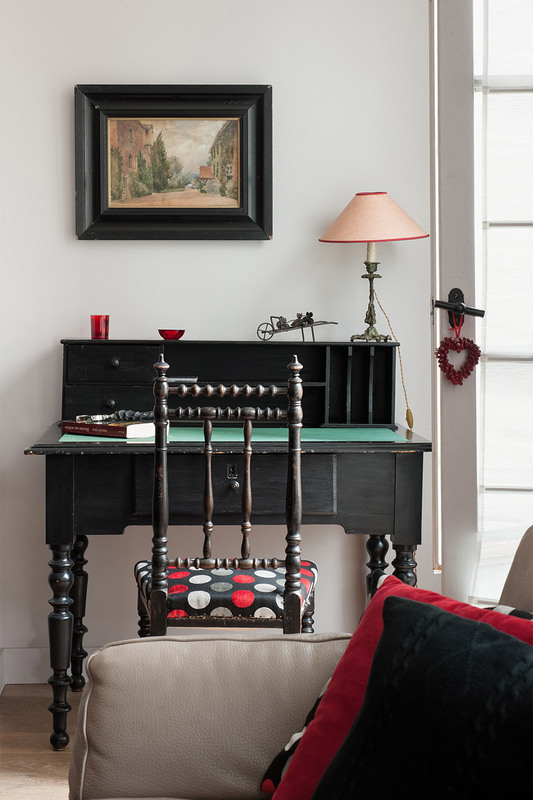 We..."
"This apartment in the heart of the Latin quarter is a jewel, and a rare find. 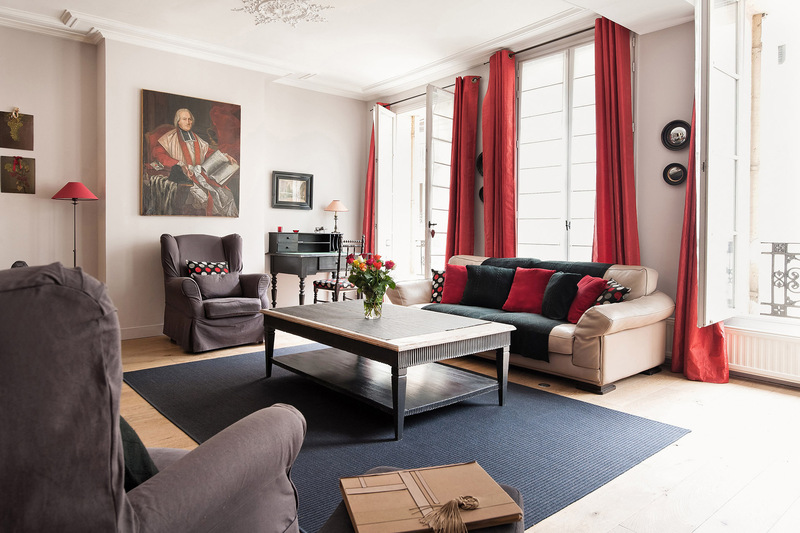 My wife and I have a years-long tradition of staying in Paris Perfect apartments for a month during the Spring. 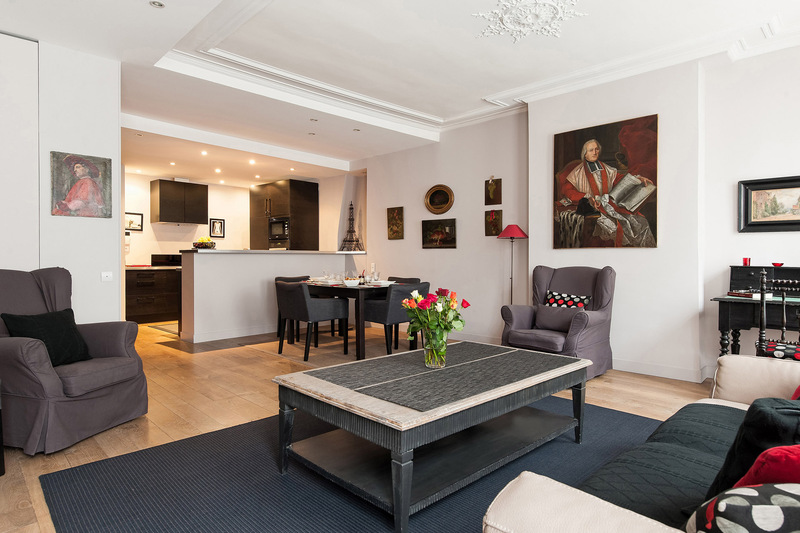 We have become familiar with the Paris Perfect repertoire of apartments and this apartment is our all-time..."
"The best way to sum up our experience is that we will always us Paris Perfect in the future. The apartment was clean and in a perfect location. The Paris Perfect staff were so nice and helpful. Really, one of the best experiences I've ever had traveling." 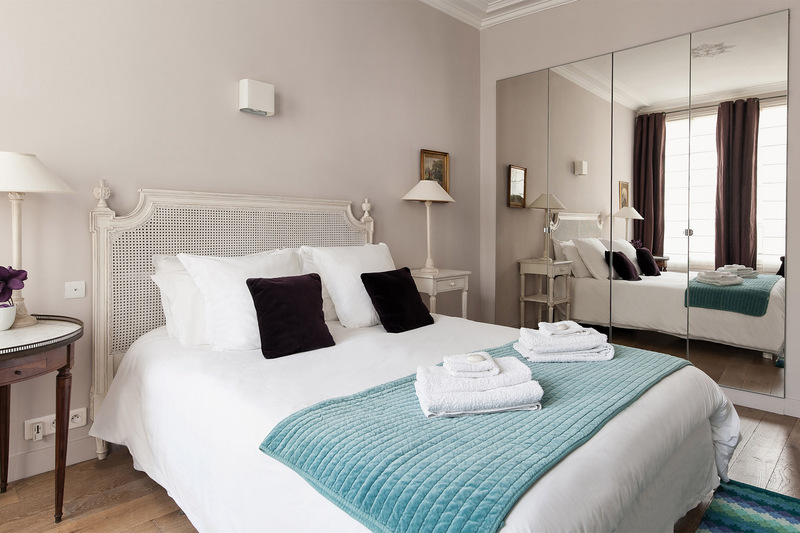 "We loved our stay in the Banyuls apartment. 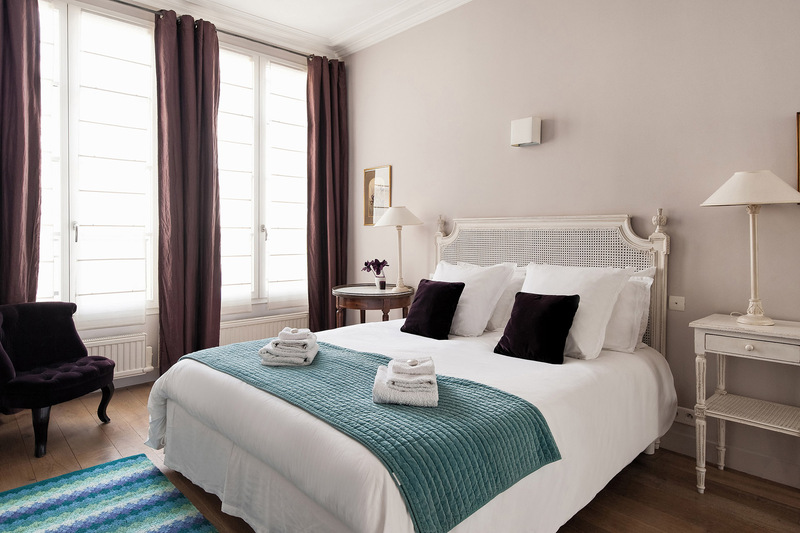 We had stayed at a hotel on Rue de Buci before so we were thrilled to find a Paris Perfect apartment a few doors down from our previous stay where you have everything you need: market, bakery, coffee, cafes, bars, etc. 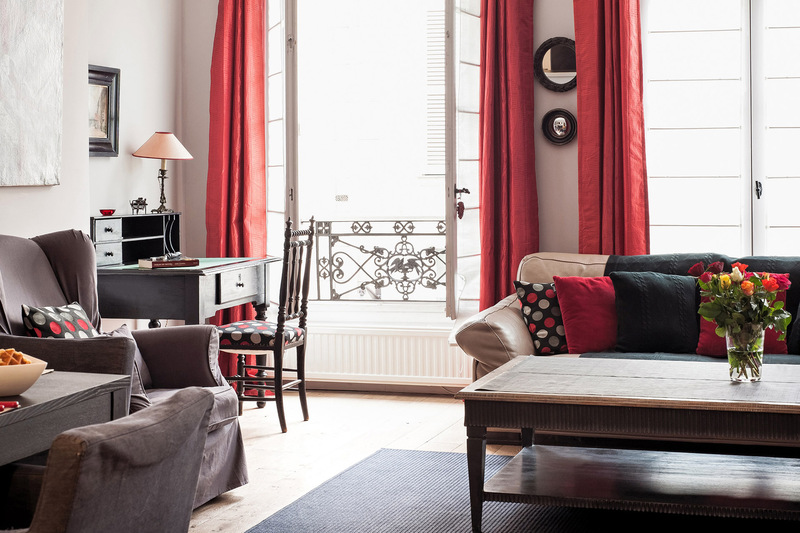 The beautiful Banyuls apartment is located in the heart of the fabulous 6th arrondissement in Paris. 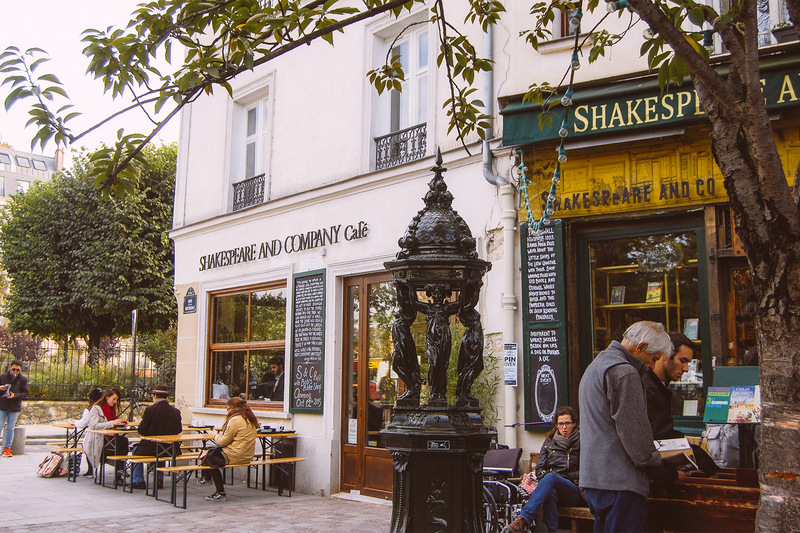 Stroll to nearby Place Saint-Germain-des-Prés and spend a morning soaking up the Parisian atmosphere at the famous literary cafés Les Deux Magots and Café Flore or enjoy fabulous shopping along Boulevard Saint Germain and throughout the entire neighborhood. 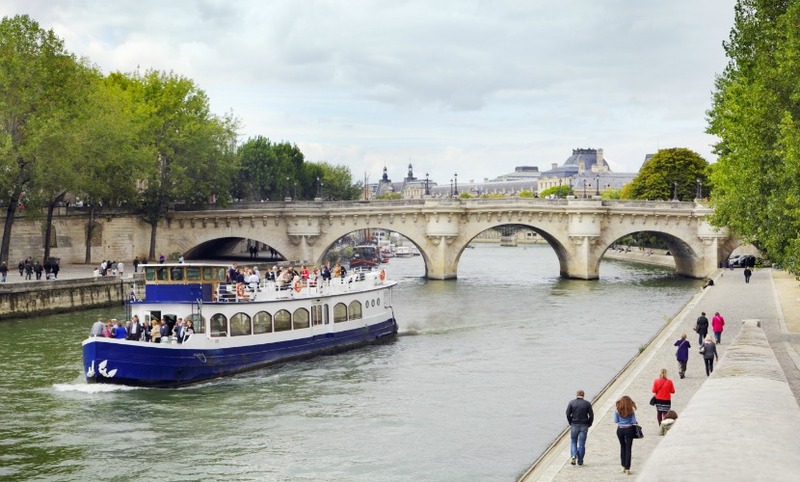 Walk to the Seine and cross over to visit the Ile de la Cité and Notre Dame or enjoy strolling along the charming food market street rue de Buci. 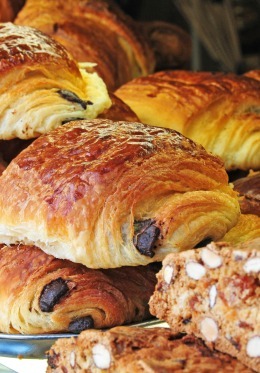 The very best of Paris is right at your fingertips! 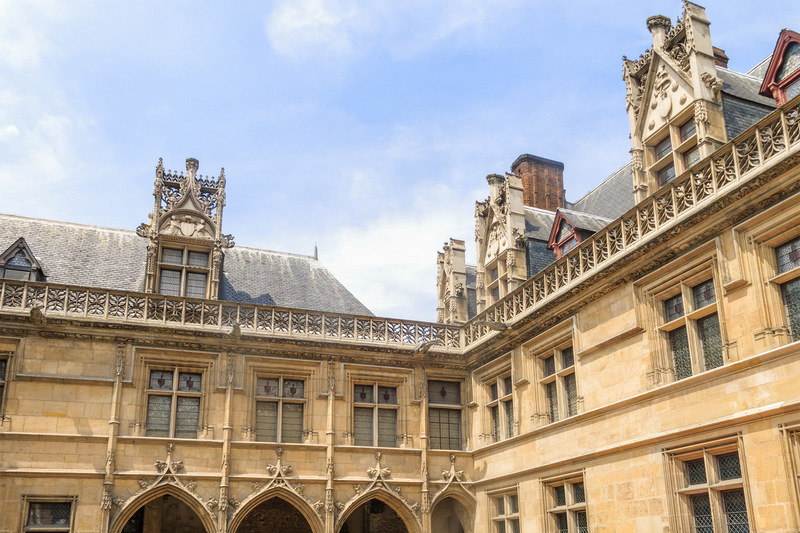 Art lovers can visit the National Museum Eugène Delacroix (2 min walk). The area is surrounded by Art Galleries. 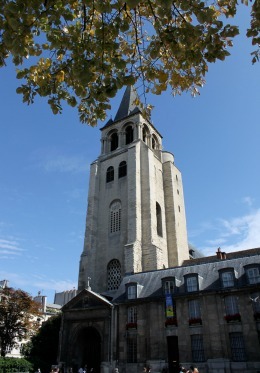 Visit the de Saint Germain des Prés Church (2 min walk) and admire the beautiful stained windows. This church dates from the 6th Century. 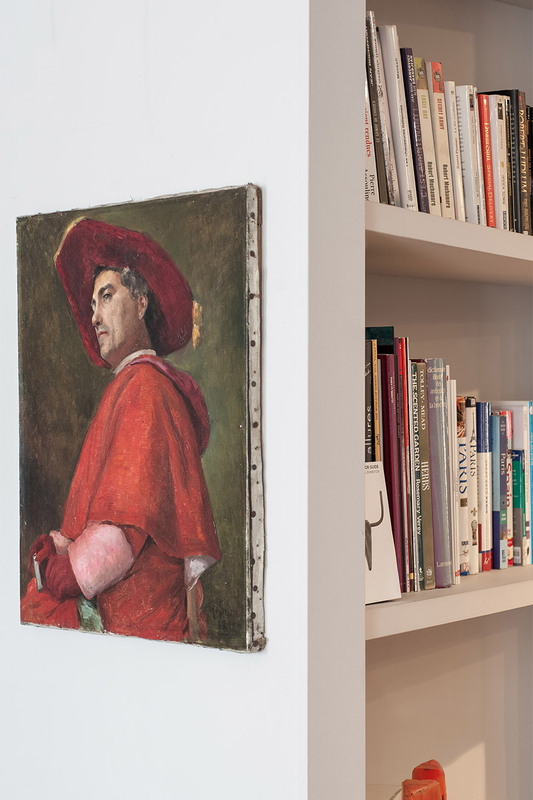 Literary lovers will adore the built-in bookshelf! 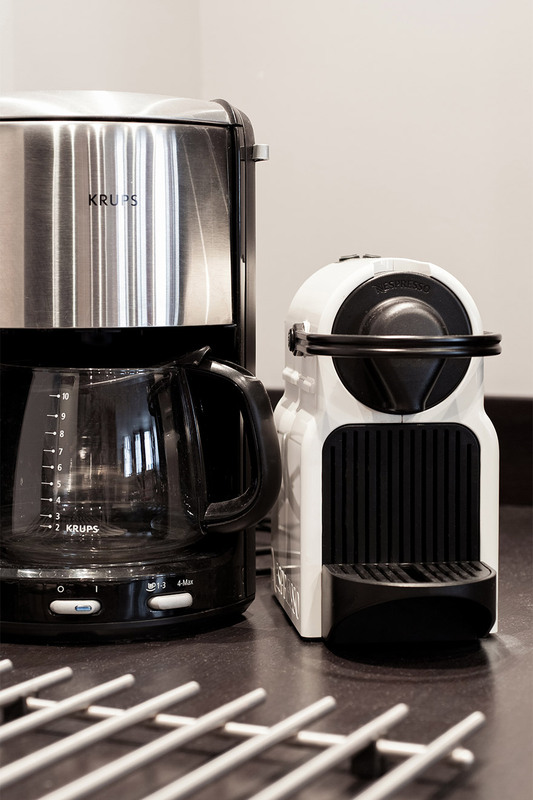 Make a classic cup of joe or a delicious espresso, on us! 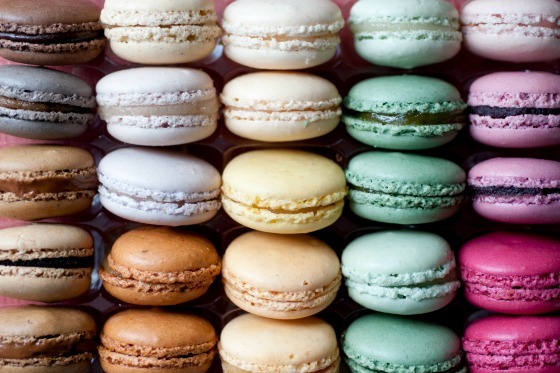 You can't come to Paris without indulging in macarons! 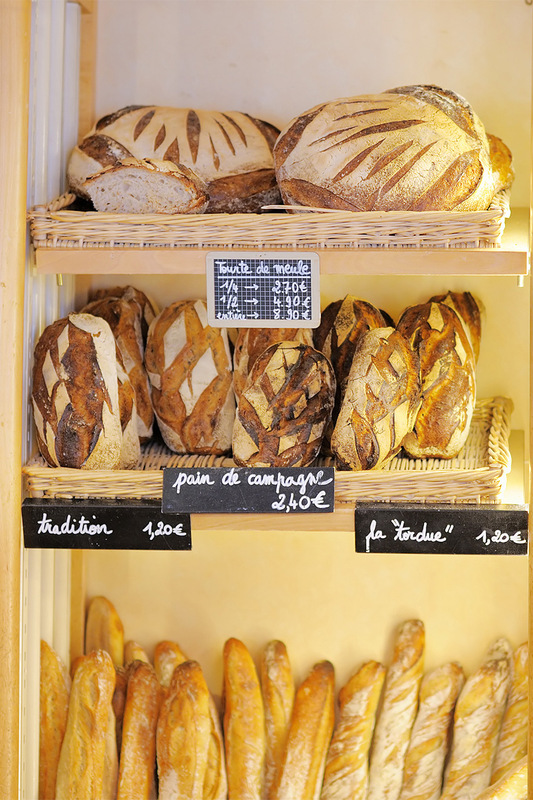 You won't be able to resist enjoying authentic French bread! 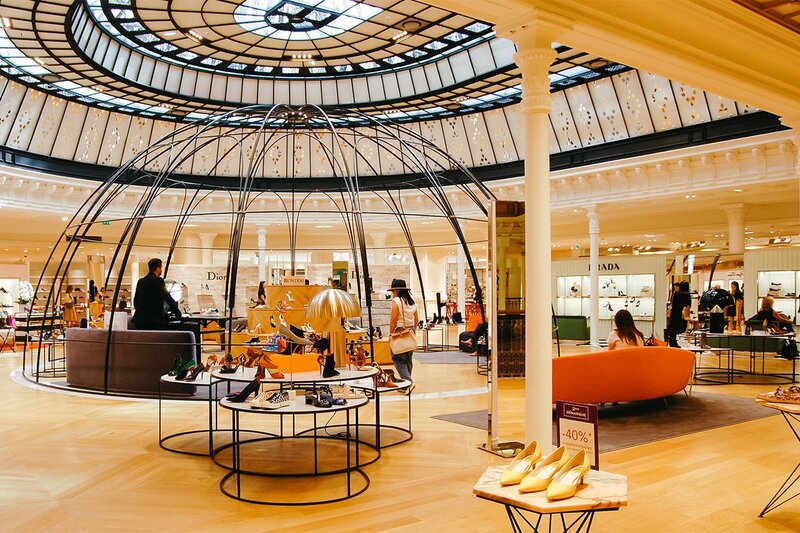 Visit Le Bon Marche if you want to shop in style! 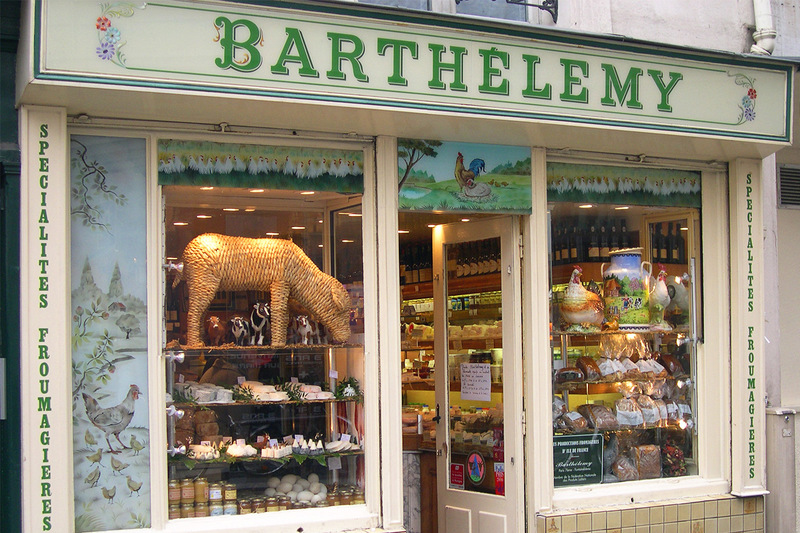 You can't come to Paris without having some retail therapy! 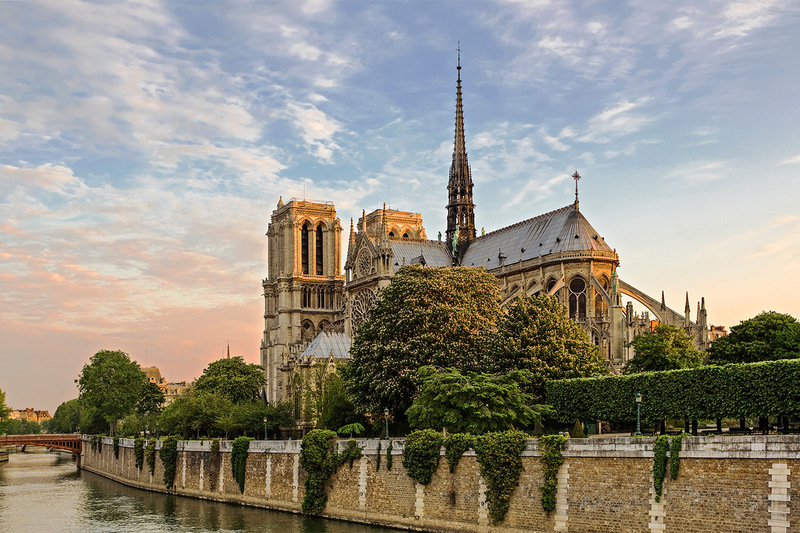 The Notre Dame Cathedral can't be left out of your vacation!